RTOPO - CAD for Topography, editing 3D points, triangulation, isolines, sections. Together with RTOPO, is distributed the RCAD CAD system. It provides OpenGL real-time orbit, pan, zoom, shading, lighting and motion path animation. 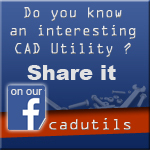 RCAD is similar with other popular CAD systems and can load and save DXF files. It has entries in the command text area, graphics area, menus and toolbars. It has commands for drawing and modification. RCAD can also run scripts and can be called from other programs. Authoring tools help you create and manage content libraries including symbols, linetypes and hatch patterns. Kordil AcadTRK is a package that contains several LISP utilities useful for menu and mapping tools for AutoCAD above version 12.0. The package also contains CAD tools which supports for CAD programs supporting AutoLISP Languages (such as BrisCAD). The source codes of the utilities in the package are fully customizable and editable, and the package consisting of several programs are easily accessible through a pull-down and icon menus. Those who work on the construction or land surveying and also wish some useful enhancements for AutoCAD may give this package a try! The package works with AutoCAD version 12.0 and above. The package is equipped with an installation wizard and also with an installation instruction. Kordil AcadTRK package is free of charge. However, it is expected to fill out the form before downloading. Free AutoCAD addon to create custom hatches for AutoCAD. If you need more than AutoCAD standard patterns for your hatch, this program is the solution! With MyHatch you can create hatches from scratch working inside AutoCAD, using lines and special tools to simulate arcs and circles. This module provides an easy way to create steel beams, tags, and beam schedule, using AutoCAD Architecture (ACA) or MEP, versions 2010 through 2014. Arched beam, sloped beams, and extensions are easily created. Hips and Valleys can be created using a special input dialog to handle the calculation involved. The beams created are actual ACA Structural Member objects, and standard ACA technology is used as the foundation for the tags and schedule as well, but with much enhancement. This module provides an easy way to create wood beams, joists, rafters, plates, hips and valleys, along with tags and beam schedule, using AutoCAD Architecture (ACA) or MEP, versions 2010 through 2016. This module provides not only the members, but also the MVBlock (tag), Property Set Definition, Schedule table style, and Display Configurations. Hips and Valleys can be easily created using a special input dialog to handle the calculation involved.